What is the Trust Technique? The Trust Technique ® is based on the premise that animals and humans share and react to micro feelings. When an animal or a person is over-thinking it creates strong emotional feelings. When this happens it can become more difficult to understand or connect with each other. This can have a negative impact on the relationship and ultimately may lower trust levels. Anxious over-thinking is one of the main causes for so called “behavioural problems” in both animals and people. Because this method is motivated from a peaceful authentic state of being, it promotes cooperation through kindness. The reward is a more truthful understanding of animal intelligence and allows for communication that manifests in shared wellbeing. We are delighted to share this information with you and to help you discover something that is gently profound yet incredibly strong. What is the video course? This video course opens your mind to a world of possibilities where animal intelligence can be discovered in an environment of trust and confidence. 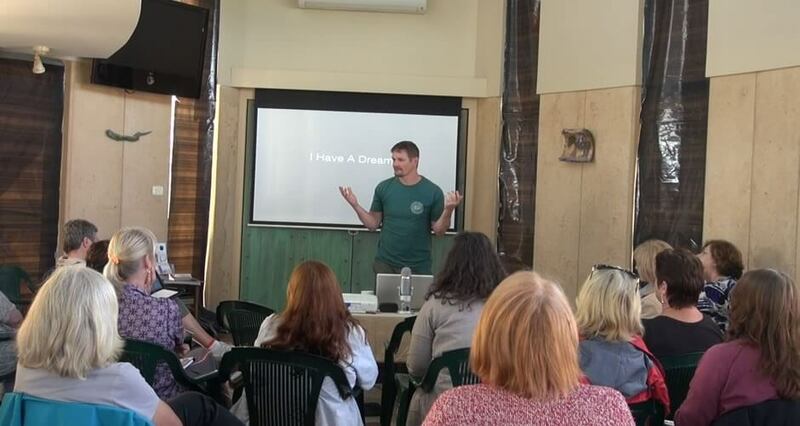 Since 2010 James has video recorded all sessions with rescue centres and his private clients. 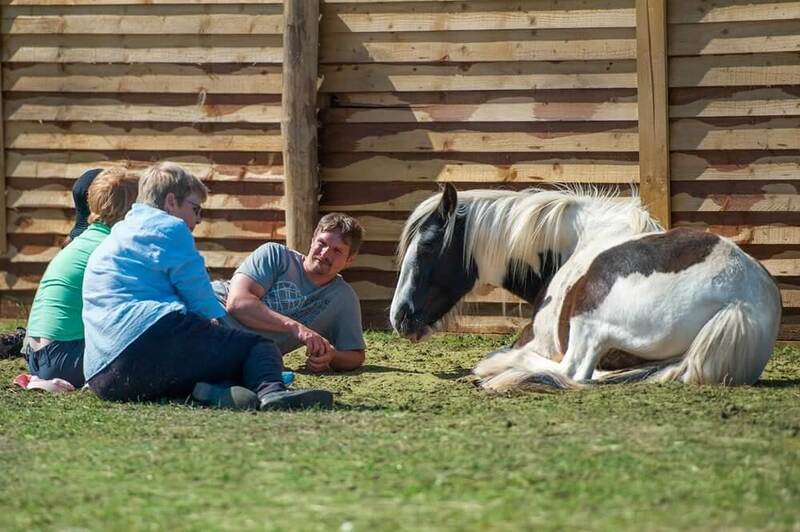 This has created a vast collection of stunning examples of how the Trust Technique works with all types of animals – dogs, horses, cats and even rescued lions. Each video story highlights different problems and how the principles and concepts of this method have been applied. These working examples are accompanied by creative video tutorials which have been designed to teach you this method with ease, breaking each concept down into practical exercises for you to do with your animals. Making this powerful technique available for you at home anytime, no matter how busy your schedule! The video course covers numerous home visits, helping animals and people with the Trust Technique. These examples include Dogs, Horses and Cats. Detailed and fun tutorials which are simple to do and very beautiful to share with your animals. Experience is everything and this is where yours starts! 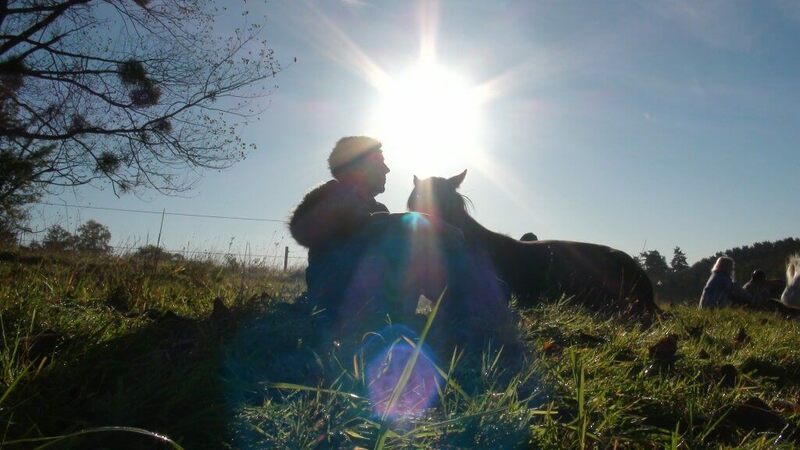 James French shares his wonderfully intuitive, instinctive and peaceful approach towards animals with us through the Trust Technique, enabling us to create an open and honest deep connection with the animals we are privileged to share our lives with. To live in Harmony with them. The Trust Technique is an exeptionally beautiful form of communication and healing as it awakens our innate primal instincts, allowing us to develop a true affinity with and sensitivity towards all animals. Thank you so very much James, being a member is such a pleasurable journey, I highly endorse Trust Technique membership to everyone. This is the perfect way for you to discover the many concepts and principles of the Trust Technique and then share this practically with your own animals. James teaches you on a one to one level, sharing his intimate and personal experiences of working with clients and rescue centre animals. Imagine being able to connect to this information when you need it! For example, watch a video exercise on your iPhone and share with your horse in the field! The video course is laid out in sections, in total there are currently over 250 videos. Each section has a number of different tutorials and working sessions with different animals. You will find Horses, Dogs, Cats, Lions and Bears all being helped with the Trust Technique. The tutorials give very clear exercises so that you can start using the Trust Technique with your animal within the first hour. The animal sessions are either working and helping rescued animals or private consultations with James’ clients. Discover a powerful method of animal healing. Examples with dogs, cats, horses, lions and bears! Have access to over 3 hours of tutorials and stunning stories, learn why the Trust Technique is a must for the animal-human relationship. Opens all future content, for life! We have always used the funds created from the video course to fund helping animals and organisation free of charge. Here are some of the projects we are currently doing. As you will see in the videos this service is very valuable for rescued animals. We have offered our services to rescued horses, dogs, cats, lions and bears and look forward to helping many more centres in this way. 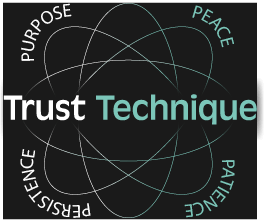 Gives people free access to learning the Trust Technique with the platinum video course. premium members help us to pay for the video plays and promotion so that many people can have this opportunity to learn the technique. We believe that to share this information openly worldwide may over time make a difference to the animal-human relationship. We may not be able to change the world but to change individual relationships directly means everything to us. 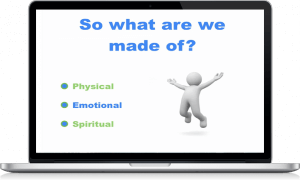 A unique therapy designed for all ages who have social, emotional or mental health needs. It involves working on a one to one basis with a specially trained Trust Technique Coach combined with rescued animals. 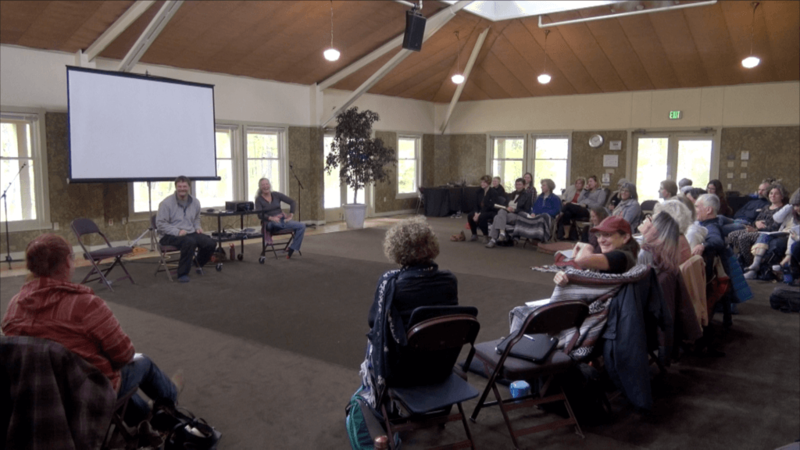 Participants are taught mindfulness with an animal in a truly nurturing and healing environment using this pioneering method. The skills are used to support, direct and enhance the individuals ‘ lives. In time this will develop to help many other people including terminally ill. The Trust Technique therapy has been specifically designed to help the animals and people find true healing together in a dynamic and unique way. Currently, we are developing and accrediting this approach and look forward to the huge potential that it has to offer.